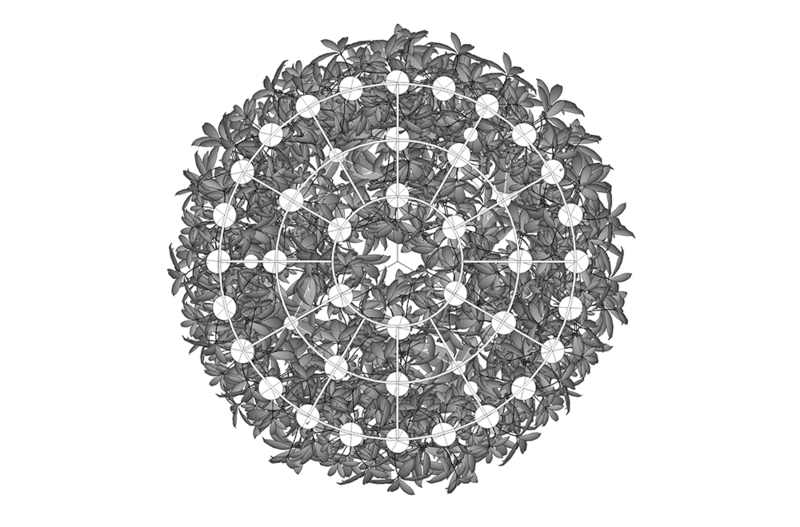 The Sky Bower delivers high-impact, non-intrusive foliage to interior spaces. 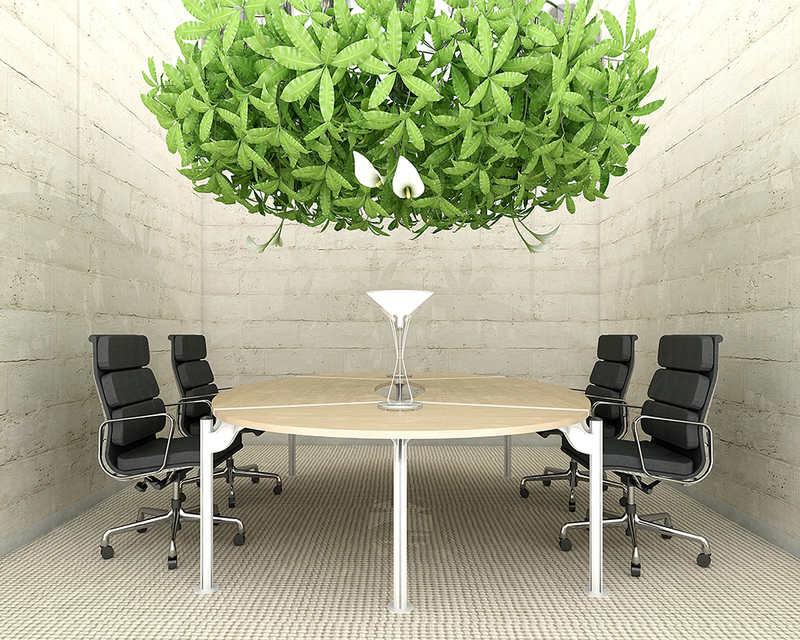 Indoor plants provide many positive benefits for building occupants, including air purification and detoxification, oxygen production, and overall psychological well-being. According to Bayer Advanced, a minimum of one large plant should be placed every 129 square feet to improve health and reduce fatigue. 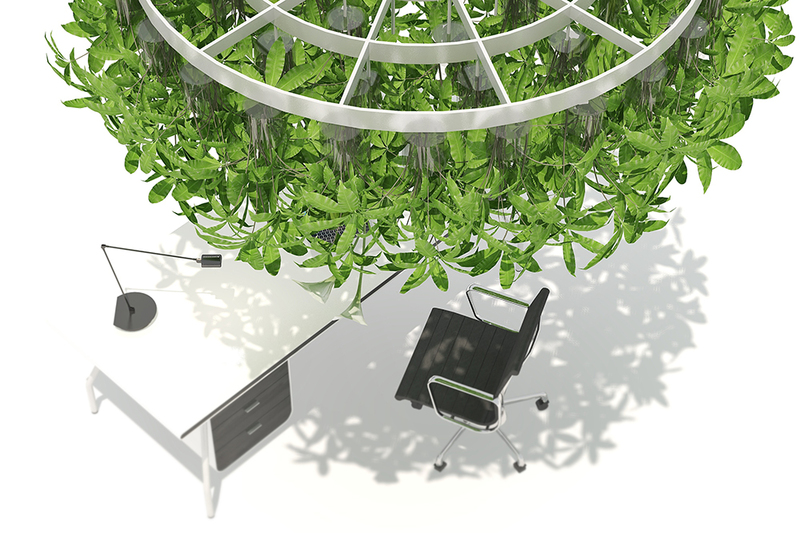 The Sky Planter developed by Boskke is a suspended pot that allows plants to be added to interior spaces without reducing valuable floor or desk area. 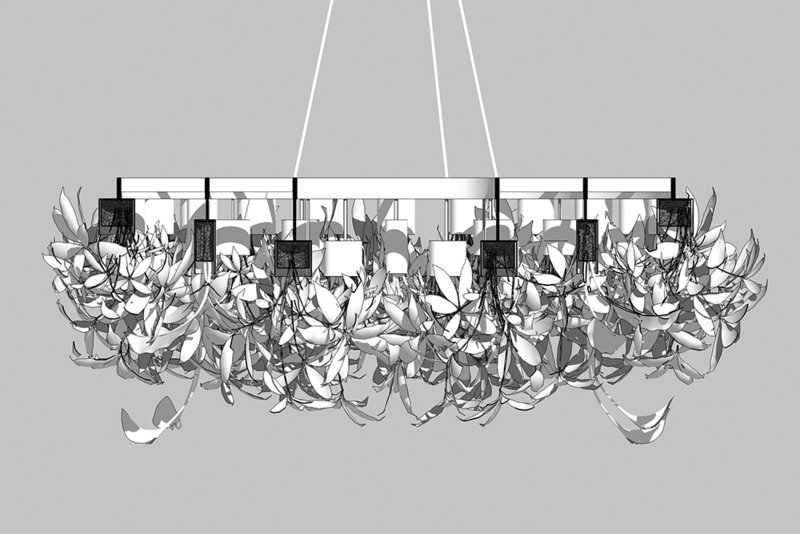 The Sky Bower takes this idea further by aggregating multiple suspended pots into one large planting system. Like the Sky Planter, the Sky Bower delivers water slowly to roots while minimizing evaporation, and utilizes a cover that keeps soil in the pot. The Sky Bower has an integral drip-irrigation system that may be connected to standard plumbing and regulated similarly to an exterior watering system. Unlike single potted plants which provide minimal, episodic greening, the Sky Bower delivers high visual and performative impact to interior spaces. Resembling a suspended tree canopy or arbor, the Sky Bower can be installed for individual or collective use, and may be customized to include adjustable up/down lighting and white noise audio effects. 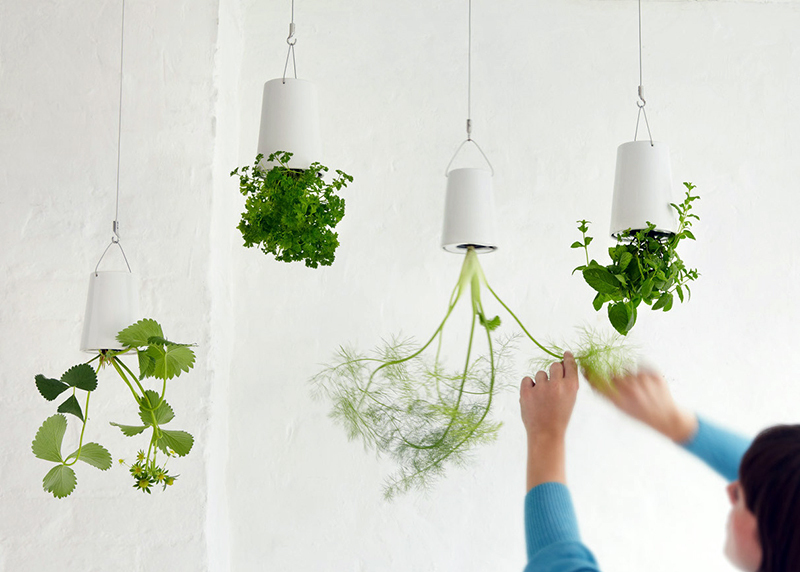 Sky Planter individual units, by Boskke. Detail of Sky Bower system suspended above individual desk. Sky Bower shown with integral up/down lighting in a conference room. Sky Bower section showing frame and inverted planters. Sky Bower plan showing frame and individual planters.